Lucky is a 8 month old male Cross-Breed. 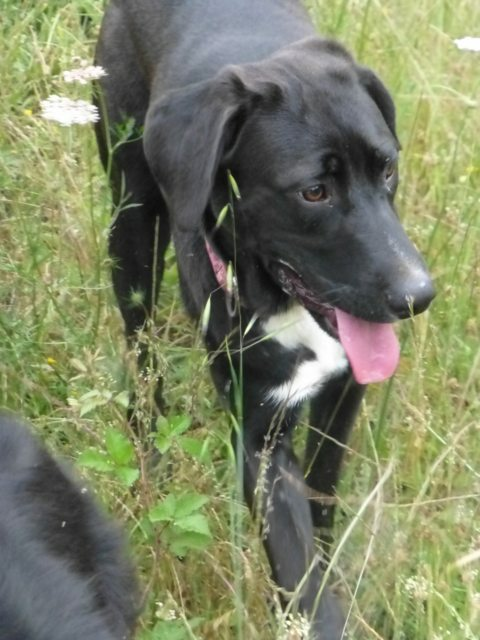 A handsome larger youngster with a black shiny smooth coat and white chest. He’s a lovely, bouncy puppy with a lot of love to give. Lucky weighs 22kg at the moment and he still has a bit of growing to do but we think he will grown to be about the size of a Labrador but not as bulky and heavy. Takes everything in his stride and is a real team player. Lucky has fabulous recall, will come away from anything. He is very people orientated and loves to please. 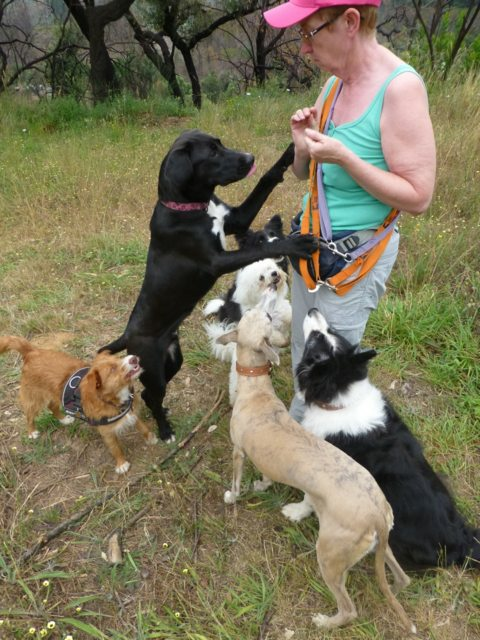 Lucky is a good all rounder who loves kids, cats and other dogs. He will need an owner who can handle stronger dogs. Poor Lucky was found wandering the streets in Portugal, with 3 other puppies. He was lucky and went straight to foster and got adopted fast by a couple with a young family (4 children). A short while later, they reported that Lucky had hurt their goat (they did not see this), so they no longer wanted him and poor boy had to come back to the rescue. He went into foster again, where he is now. They are actively working with him on his jumping up for cuddles and training with sheep and goats. Also resource guarding with our other dogs. Fosterer’s report: We took Lucky from his owners following the incident with the goat. He is very easy going and anxious to please. Gets on well with our other dogs, although he can be very bouncy and jump on the smaller ones. He shows no aggression whatsoever. He is still a puppy so he does mouth a little bit, but he is very gentle. He likes to hold my hand when we are out walking. He is very good at night and sleeps in a crate, which he is happy to use. He eats well and loves treats (which is why training is so easy with him). He is still learning to play with people, although he plays tug with our other dogs. Lucky will need to continue with his training (using positive reinforcement) and is very strong, so needs to be under control with a good harness or halti. He is a lovely boy, very affectionate and sweet with people. He stayed with a friend with cats and there were no problems. Our young GSD took a piece of carrot that he was eating, out of his mouth and ate it! so he is very tolerant of other dogs. Current location is in a foster home in Portugal can travel to the UK once he has a home to go to. 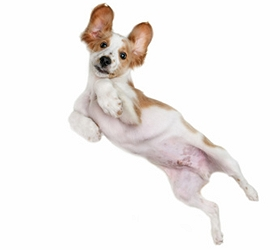 Vaccinated, wormed, flea treated, Neutered, Microchipped, Pet Passport, FREE 4 weeks Pet Insurance to be activated from the link on our website, Any known health issues NONE KNOWN. For Dogs coming from Portugal: This adoption fee is a contribution towards the costs of rescuing the dog- microchip, passport, vaccines, tests for S European diseases, neutering (if old enough), parasite treatment and transport to the UK. We can not home dogs from Portugal to people who work full time or long hours, unless some sort of doggy day care is offered. They need someone at home a lot of the day, they are not used to being alone for long periods. A dog walker for an hour out of the day is not enough. Leaving dogs a long time on their own means they are highly likely to develop separation anxiety which is distressing for them and everyone in their new home. If you are interested in adopting any of our dogs, please go to our website, dogwatchuk.com and download an enquiry form or email us at dogwatchuk@hotmail.co.uk or telephone Denise Boardman on 0121 242 0369 or 07914737993; Katrina Wright 0121 247 9572. We rehome across the UK!